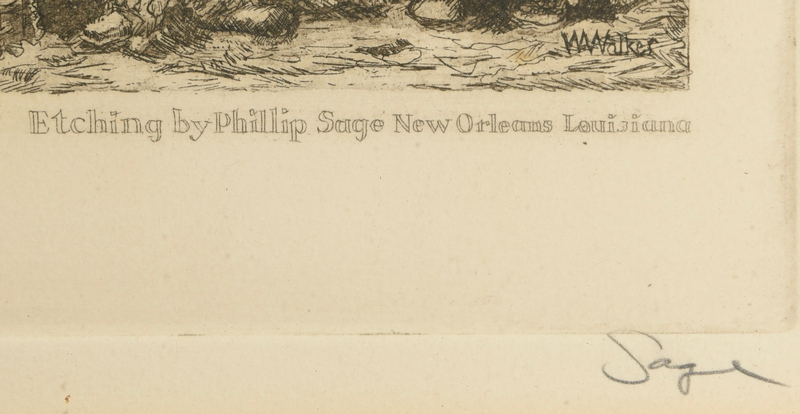 Grouping of 3 Philip Anthony Sage (American/Louisiana, b. 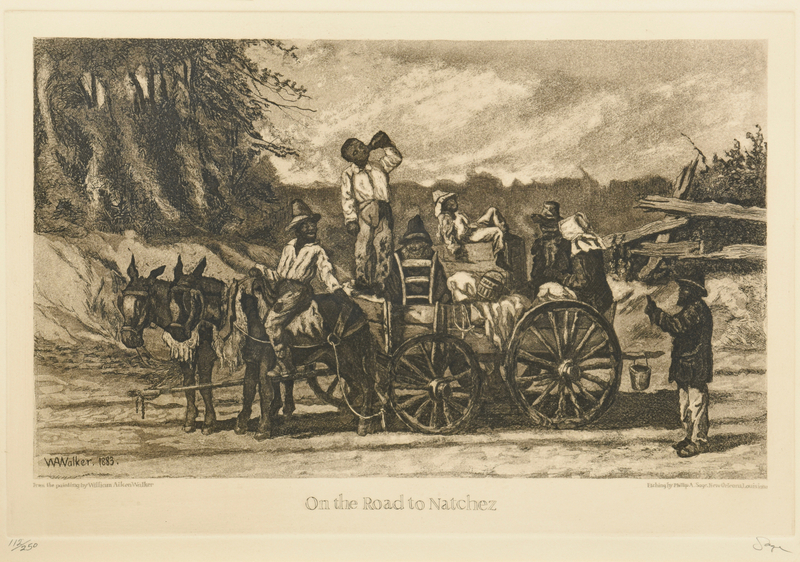 1942) etchings depicting Louisiana genre scenes, all after William A Walker paintings. 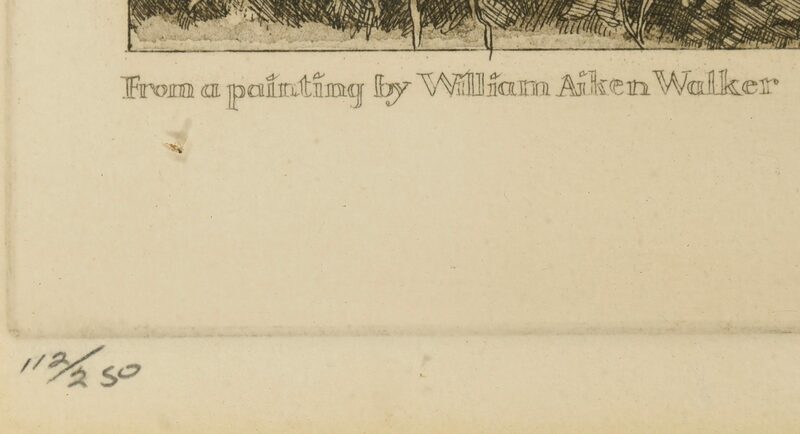 All pencil signed and numbered in the lower margin. 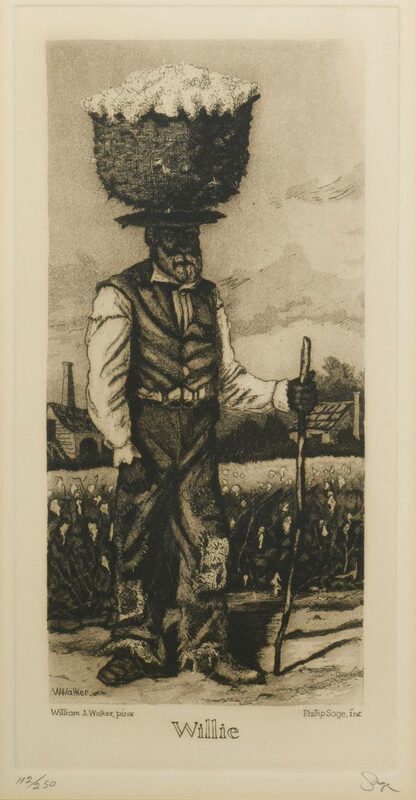 1st item: Etching titled "Willie" depicting and older African American gentleman with a basket of cotton atop his head. 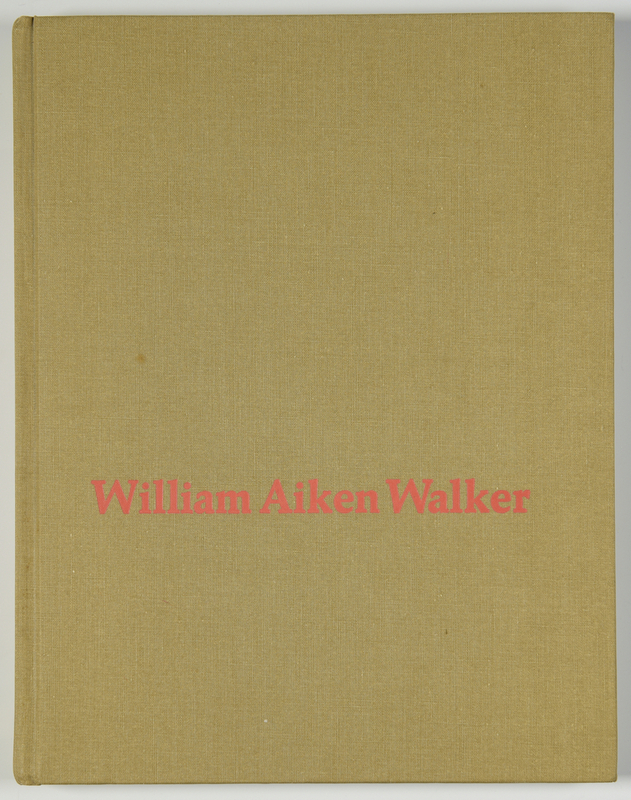 Numbered 112/250 and signed "Sage". 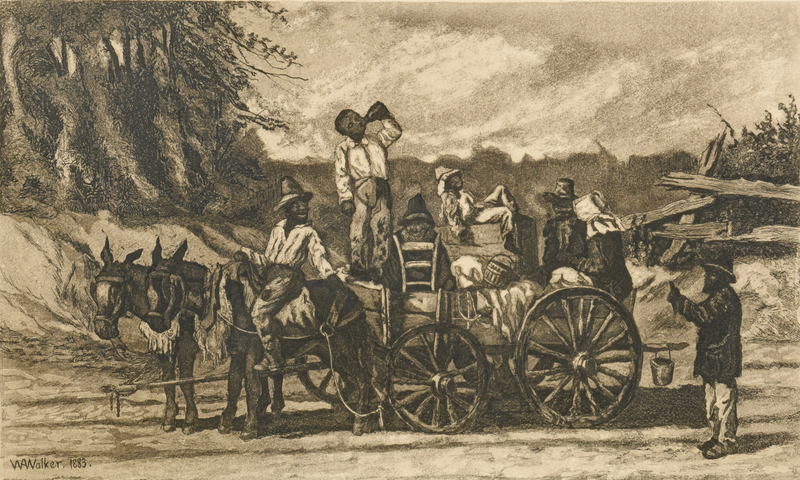 Sight – 12" H x 6" W. Framed – 19 1/4" H x 13 1/4" W. 2nd item: Etching titled "On the Road to Natchez" depicting an African American family travelling by wagon on a rural road. Numbered 112/250 and signed "Sage". 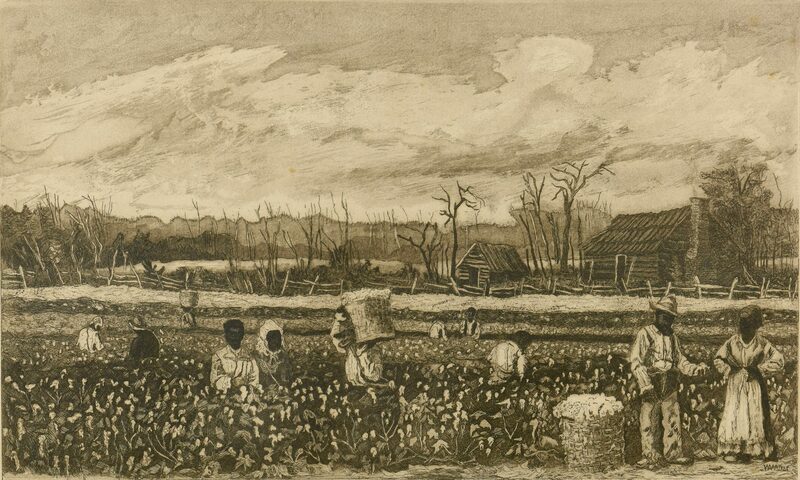 Sight – 13" H x 18 1/2" W. Framed – 19 1/4" H x 25" W. 3rd item: Etching titled "Picking Cotton" depicting African slaves working in a cotton field. 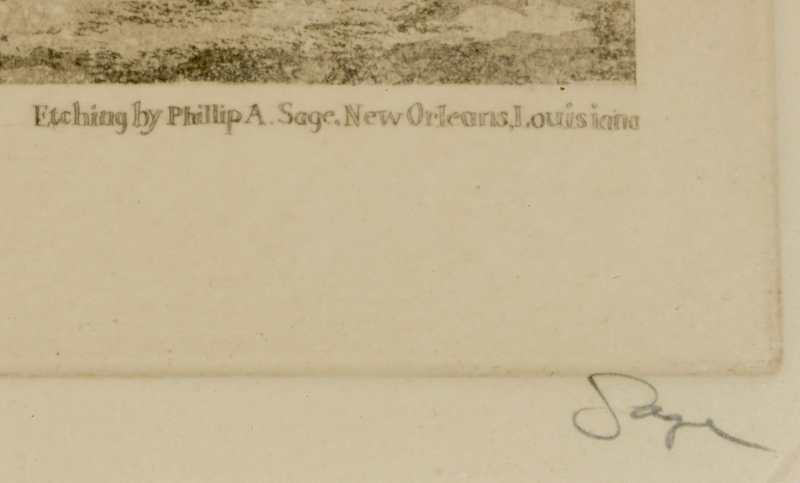 Numbered 112/250 and signed "Sage". 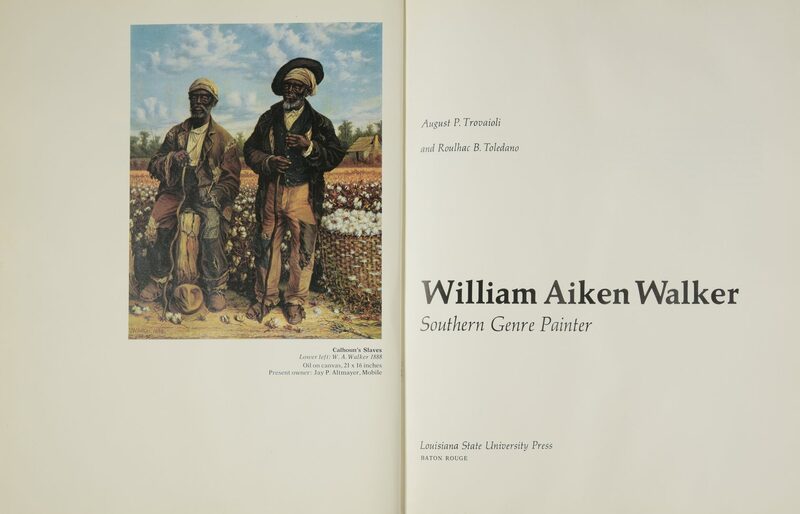 Sight – 11 5/8" H x 17 5/8" W. Framed – 19 1/8" H x 24 5/8" W. Lot also includes the book "William Aiken Walker, Southern Genre Painter" by Trovaioli and Toledano, published by Louisiana State University Press, 1972. 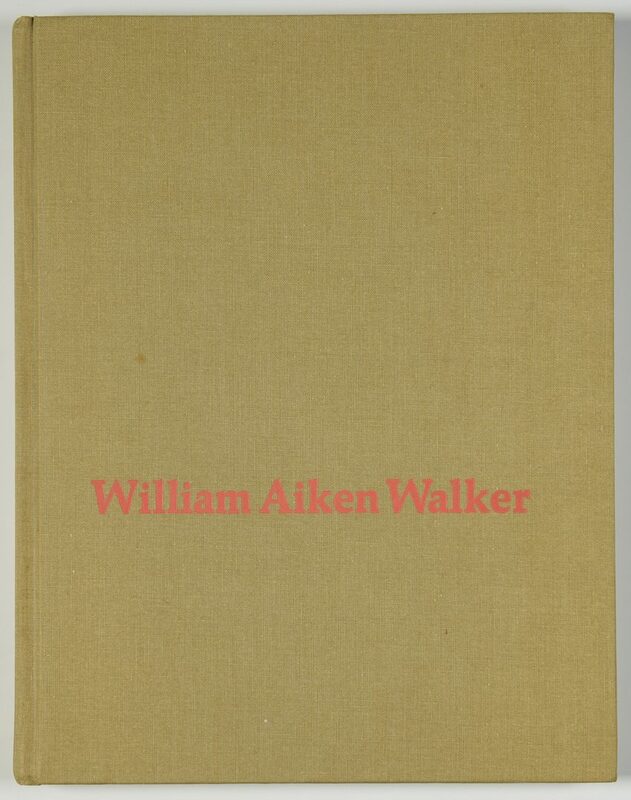 All 20th century. 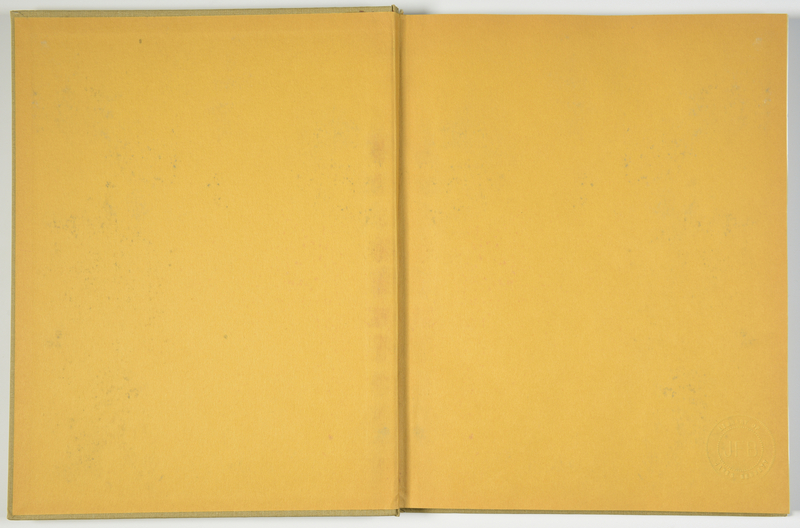 CONDITION: Some minor abrasions to all frames. 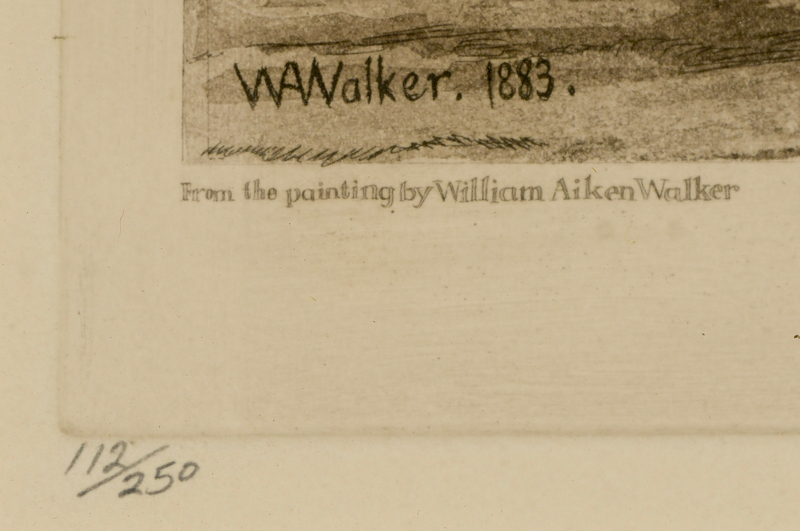 Minor toning to perimeter of largest etching. 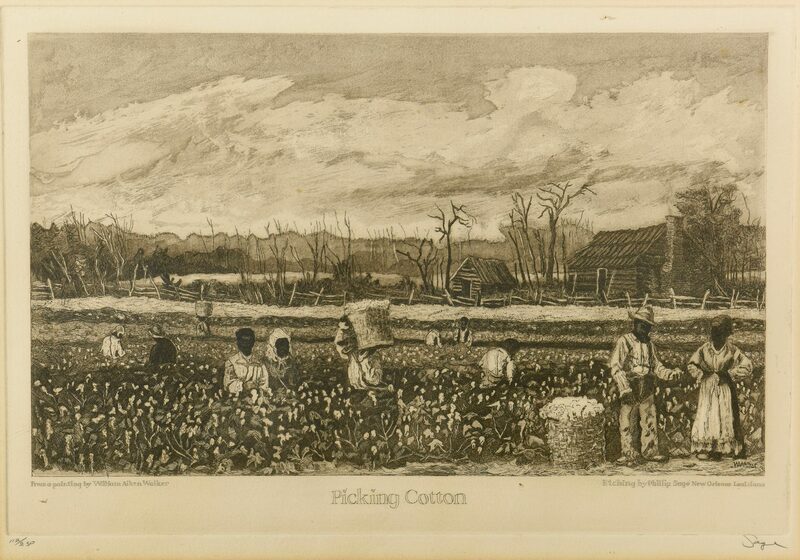 Remaining etchings overall excellent condition. Book with some interior foxing to cover pages.